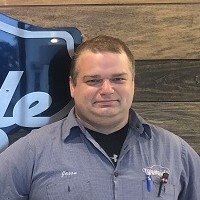 Jason has been with Westside Service for 14 years and is an ASE certified technician. Jason is married and has 2 boys and 1 girl. He enjoys spending time with his family as well as riding his motorcycle. 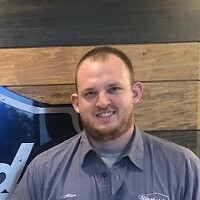 Joel has been with Westside Service for 3 years and is a Master ASE certified technician. Joel has been married for 2 years. He enjoys spending time with his wife as well as hunting, fishing and going camping. 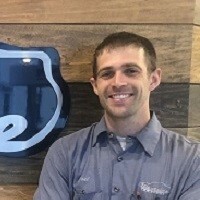 Alex has been with Westside Service for 2 years and is an ASE certified technician. 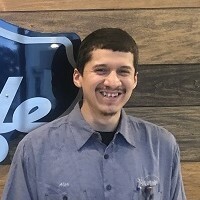 Alex is currently finishing up college through GRCC auto mechanics program and is working hard to get through his classes as well as work full time. He enjoys spending time with his family and friends during his free time. Alan is our newest recruit here at Westside Service and is currently our oil change lube tech. Alan is going to College for auto mechanics at GRCC and is working to finish up his degree while working full time her at Westside. He enjoys spending time with his friends during his free time. Jon has been with Westside Service for 8 years now and is currently the shop manager. Jon is an ASE certified service consultant. Jon is married and has a baby boy named Silas. 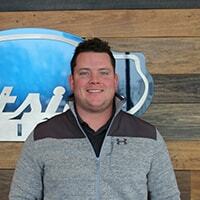 He enjoys spending time with his family as well as Golf during the summer and hunting in the fall. 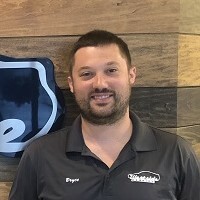 Bryce has been with Westside Service for a little over a year as the shops service writer. Bryce is currently working on getting ASE certified for service writing as well as parts specialist. He enjoys mountain biking during the summer and snowboarding in the winter.